Residents are being urged to have their say on plans to dual more than 8 miles of road between Chiverton Cross and Carland Cross. A consultation is being held on plans to transform the single carriageway between Chiverton Cross and Carland Cross - one of the last bottlenecks in Cornwall - into a dual carriageway. 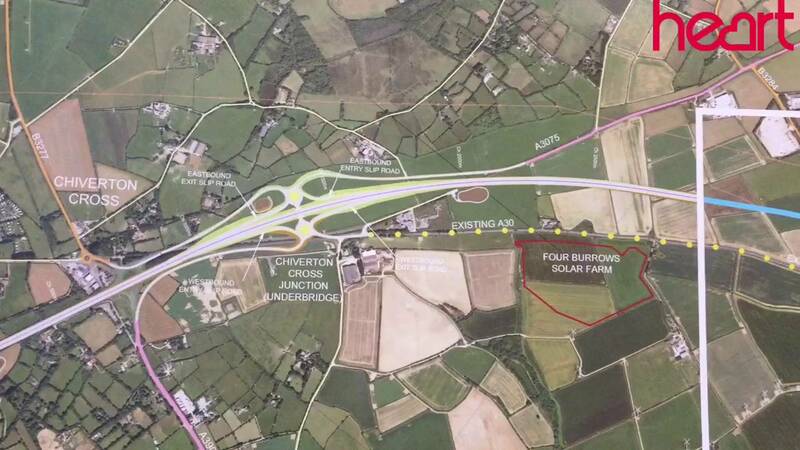 The improvement to the 8.7 mile stretch is part of a £2 billion package to turn the A303/A30A358 corridor into an expressway to the south west. Plans see a new dual carriageway built alongside the current single carriageway, mostly to the south. It also shows improvements to the junctions at Chiverton and Carland cross, building them on two levels to allow traffic to flow freely. The upgrade of the Temple to Higher Carblake section of the A30 is due to be completed in spring 2017 and by improving the A30 between Chiverton and Carland Cross, Highways England will be working in partnership with Cornwall Council on a second joint project as part of the Government's £15 billion investment into roads. The European Regional Development Fund is contributing £8 million to the £280 million scheme, which is also supported by Cornwall Council. There are information points at Truro, St Agnes and Perranporth libraries and Cornwall Council's County Hall at Truro, and more information can be found HERE.